BATON ROUGE, Louisiana, November 29, 2012 (ENS) – Louisiana’s biggest illegal air polluter has agreed with the federal government to the largest Clean Air Act settlement ever filed in Louisiana. Louisiana Generating, an electric utility owned by NRG Energy, has agreed to settle decade-old charges and meet the U.S. EPA’s new Mercury Air Toxics Standards by cutting emissions from its Big Cajun II coal-fired power plant in New Roads. The company will spend $250 million on upgrades that are expected to eliminate over 27,300 tons of air pollution every year. In addition, the company is required to pay a civil fine of $3.5 million and spend $10.5 million on environmental mitigation projects under a proposed settlement with the U.S. EPA and the Department of Justice, lodged last week in federal court in Baton Rouge. The State of Louisiana joined in the settlement and will receive $1.75 million, one-half of the $3.5 million civil penalty. “The Big Cajun II Power Plant is the largest source of illegal air pollution in Louisiana,” said Ignacia Moreno, assistant attorney general for the Justice Department’s Environment and Natural Resources Division. “This settlement will secure substantial reductions in harmful emissions from the plant, which will have a beneficial impact on air quality for residents of Louisiana and downwind states, including low-income communities who have been historically overburdened with pollution,” Moreno said. Louisiana Generating will achieve these reductions through a combination of new pollution controls, natural gas conversion, and annual emission caps at all three units at the Big Cajun II plant. “Louisiana Generating will install modern air pollution controls that will significantly reduce harmful emissions and also will perform environmental projects that will conserve energy,” Moreno said. Big Cajun II was developed and built by Cajun Electric Power Coop and acquired by NRG in May 2000 after CEPC declared bankruptcy. 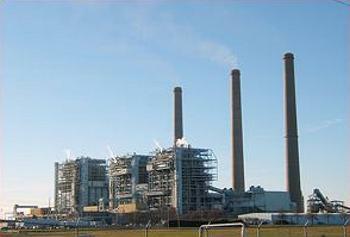 Louisiana Generating upgraded the burners and fuel that reduced nitrogen oxide (NOx) and sulfur dioxide (SO2) emissions at the power plant by a third. To meet EPA’s new Mercury Air Toxics Standards that take effect in April 2015, Louisiana Generating will convert one of the three units at the plant from coal to natural gas, eliminating virtually all mercury and particulate matter from the unit’s emissions. The company will install activated carbon injection on another unit and upgrade the electrostatic precipitators. The company settled decade-old charges by the EPA and the Louisiana Department of Environmental Quality for work done by the previous owner of Big Cajun II by installing new equipment to control NOx and SO2 emissions. Louisiana Generating will also pay $1.5 million to the State of Louisiana to implement projects which could include: retrofitting vehicles with pollution controls, truck stop electrification, purchase and installation of photovoltaic cells on buildings, building energy conservation and efficiency, buyback programs for dirty old motors, and removal or replacement of oil-fired home heaters with ultra-low sulphur oil and outdoor wood-fired boilers. The settlement marks the federal government’s 24th settlement under its national enforcement initiative to reduce emissions from coal-fired power plants under the Clean Air Act’s New Source Review provisions that require power companies adding new sources of electricity to install the latest pollution reduction equipment. The settlement is lodged in the U.S. District Court for the Middle District of Louisiana is subject to a public comment period and final court approval.